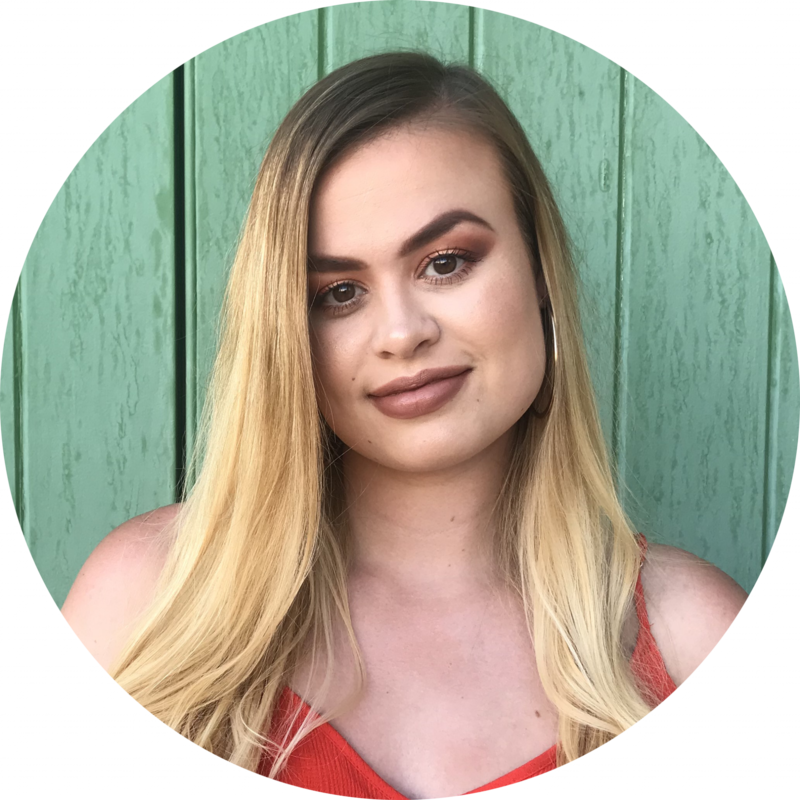 As 2018 comes to an end, I wanted to do a review of my favourite skincare products I’ve used this year. I love trying out new skincare products and enjoy working out what I like, what I don’t like, and, most importantly, what works for my skin. 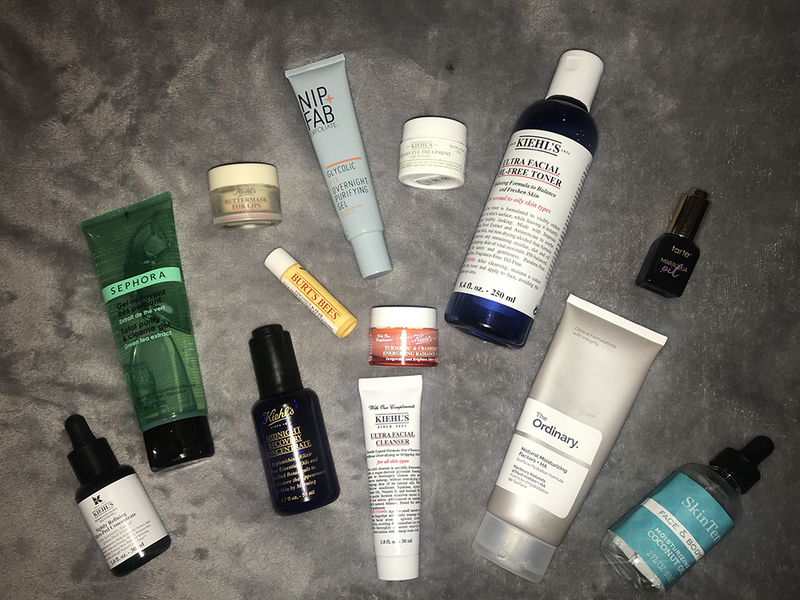 I’ve tried some great products this year and discovered some gems that I’ll keep in my collection forever. 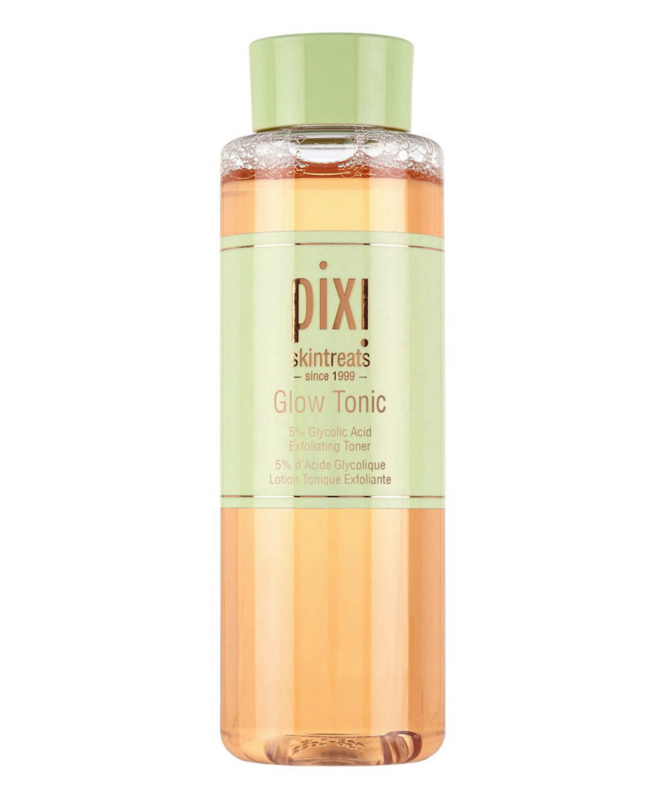 The Pixi Glow Tonic is a skincare saviour and is loved by so many people worldwide. It’s easily the best toner I’ve ever used. It leaves you skin feeling clean and refreshed, while helping to even skin tone and get rid of stubborn blackheads. I’ve tried quite a lot of toners now, like the Body Shop Seaweed Oil Balancing Toner and the Kiehl’s Ultra Facial Oil-Free Toner, but they do not compare to the Pixi Glow Tonic. Honestly, if you’re ever going to get a toner, this is the one. It’s incredible. As if this wouldn’t make my top 5. I’ve spoken about this product on my blog loads already and it’s not like I’ve been blogging for a long time either. 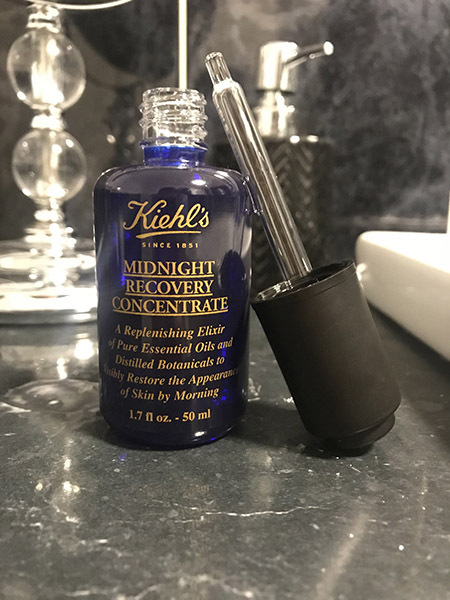 The Kiehl’s Midnight Recovery Concentrate is EVERYTHING. I can’t stress enough how much this product has improved my skin. Since using it, my is brighter and fresher, it feels softer, I don’t get many spots at all now and it seems to just solve any skin troubles I might be having. I don’t know how it works, but it really does just seem to help with any type of problem. I think this is probably my favourite skincare product I’ve ever used. 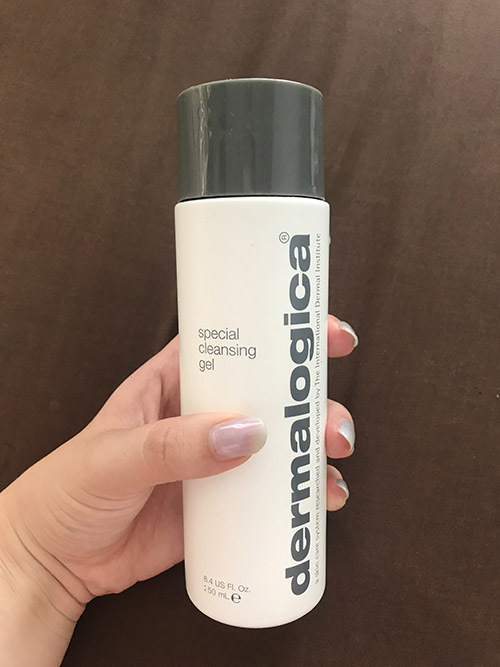 I’ve tried a fair few cleansers now, but the Dermalogica Special Cleansing Gel has been my favourite so far (although I did really like Kiehl’s Ultra Facial Cleanser). Dermalogica’s Special Cleansing Gel lasted me ages – around a year – and really helped improve my skin. 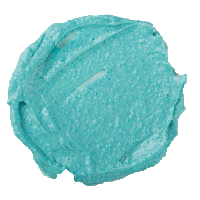 The texture and appearance seemed a lot clearer and I noticed I didn’t really get many spots after using it. 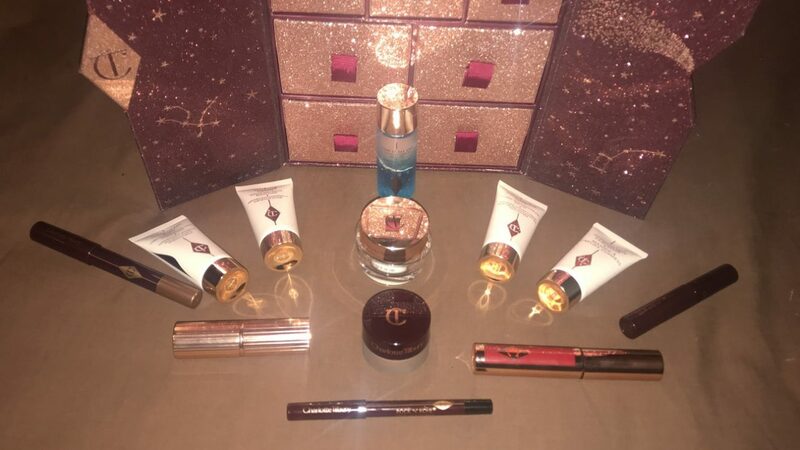 I know this is a product that is loved by many people and it seems to work wonders on different skin types. So, I’d say this a worthwhile investment for anyone. Yes, another Kiehl’s product in my top 5. 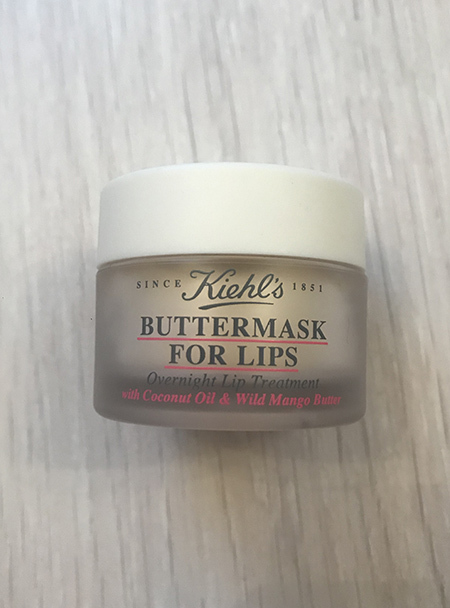 The Kiehl’s Buttermask for Lips is by far the best product I’ve ever used on my lips. From the smell (which is absolutely divine) through to the feeling on your lips (SO soft) to the way it leaves your lips feeling hydrated and repaired in the morning, I can’t get enough of this. 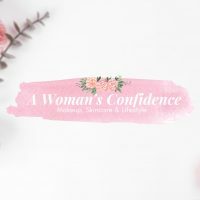 This is a perfect example of a product that is desirable and pampering as well as an essential and everyday product which helps keeps lips nourished and soft – especially during these cold winter months. A bit of a splurge admittedly at £22, but one you won’t regret. I never thought a Lush Fresh Face Mask would reach my top 5 picks for skincare products this year, but the Don’t Look at Me one really exceeded my expectations. It’s both pampering and exfoliating. Not too harsh that it leaves your skin looking red and feeling sensitive, but not too gentle that it leaves you wondering: What’s the benefit? This is a great face mask and even the colour is awesome. I really feel like this exfoliated my skin well, while giving it a nice boost and refresh. Great job Lush, I’ll be back for more. And they’re my top 5 skincare products for 2018. What have your favourite skincare products been this year? Let me know in the comments down below as I’m always looking for new products to check out. This was really helpful, I’ve been debating the glow tonic and midnight recovery concentrate so thank you for convincing me I must purchase!